Size : 1106 Sq.Ft. 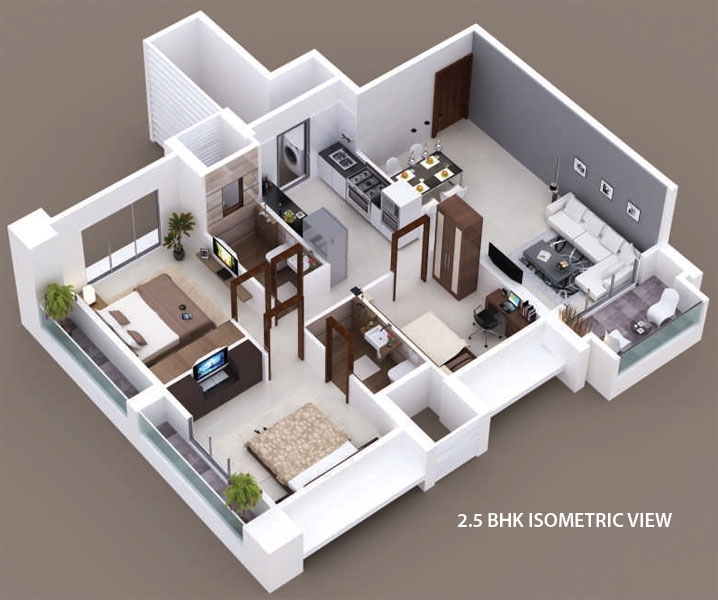 and 1331 Sq.Ft. 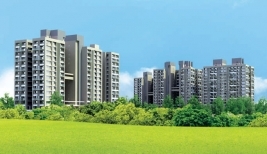 Maitreya Greens is a Apartment project carefully and aesthetically designed and developed by Maitreya Realtors. 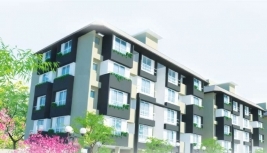 It is situated at a very serene and nature friendly location in Survey No.210 Pathardi Gaothan, Nashik, Maharashtra. 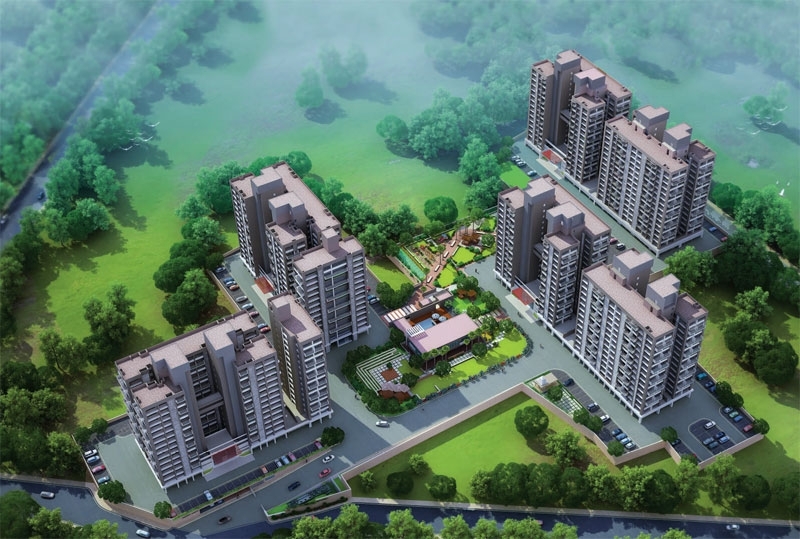 Maitreya Greens is an Eco-friendly real estate development with luxurious amenities and standard living apartments. 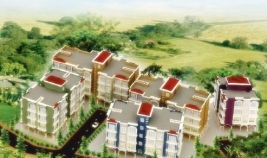 It is first of it's kind IGBC Gold pre-certified green project in Nashik. 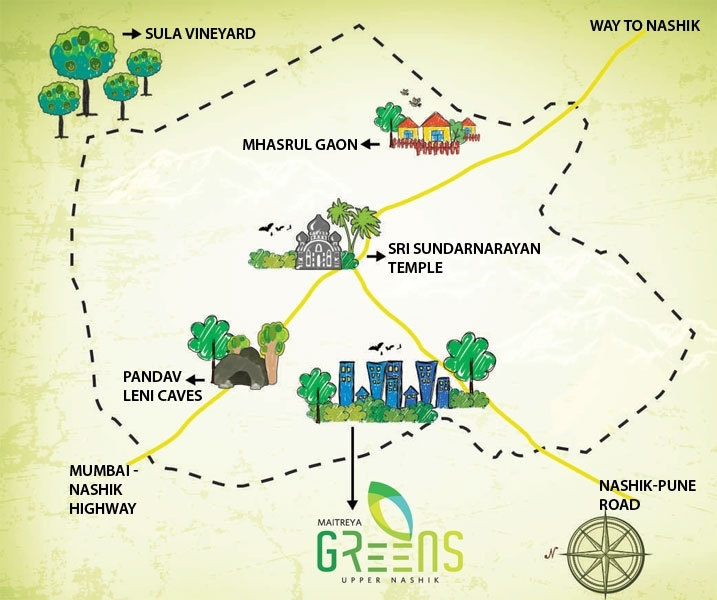 It is situated at one of the greenest patches of Nashik and it serves every need of a weekend home as it has picturesque surroundings along with all the connectivity for places to visit with purposes such as Picnics, Worhipping God, Photography, Village living, Grape Winery and lots more. Easy connectivity available from Mumbai, Thane, Pune, etc. 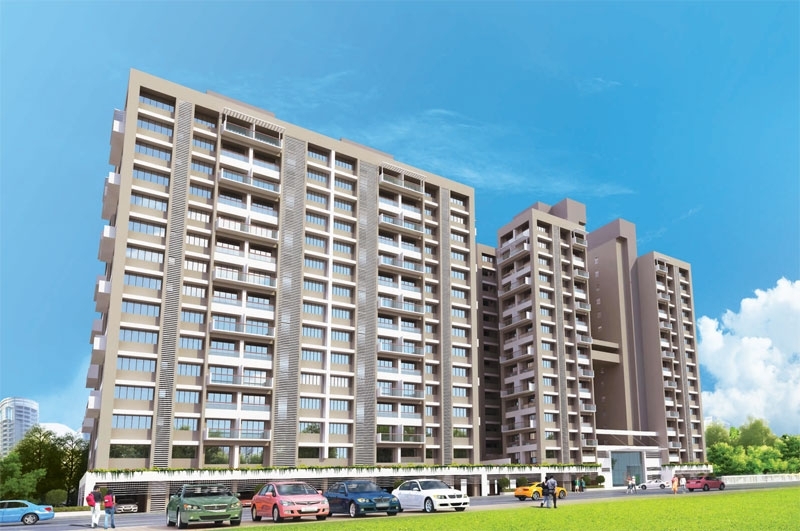 Maitreya Greens is Developed with eco-friendly technology which consists marvelous 6 residential towers of Ground + 14 floors built around the 10 acres of pure verdant green land which makes it the best real estate development in Nashik till now. 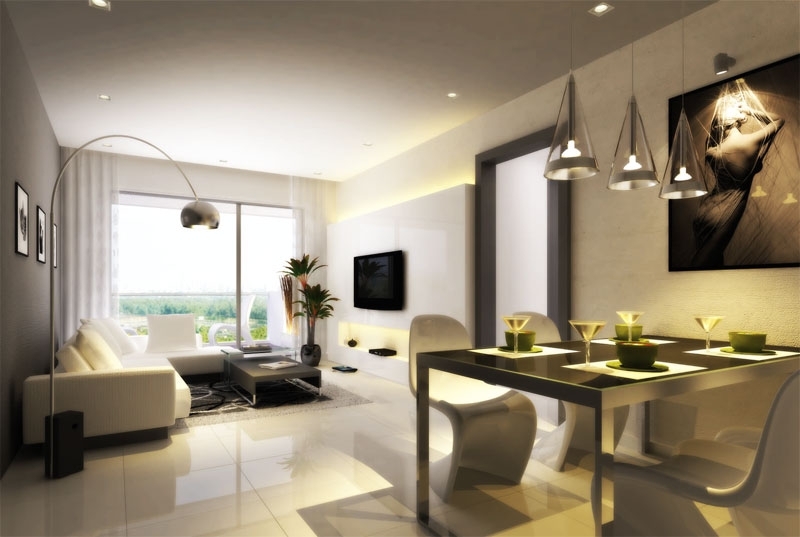 Excellent technology used in the making of apartments at Maitreya Greens. 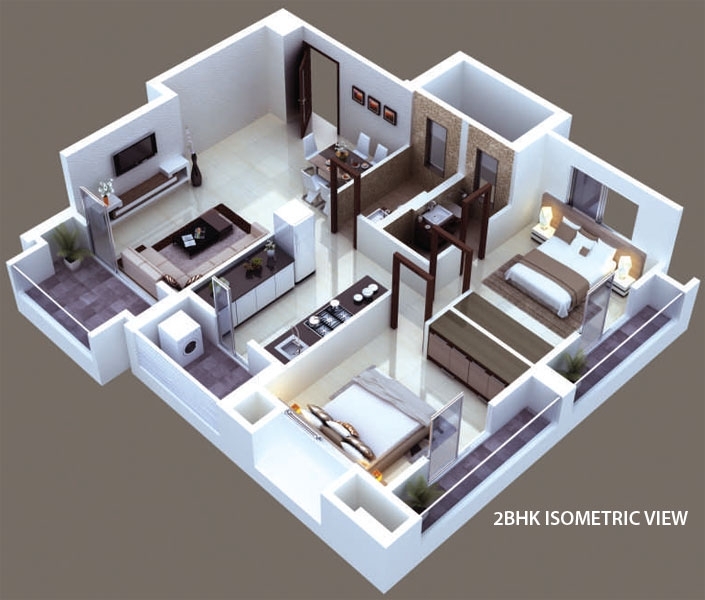 It has options to choose from 2 BHK and 2.5 BHK apartments which are utterly green, ensuing in energy preservation and cost reduction. Environment friendly, Use of Natural Resources, Pleasing views of beautiful landscapes, Opulent living spaces, Splendid specifications and amenities, Budget Apartments, etc. Maitreya Greens has it all - A perfect place to live with your family and friends OR a great investment in real estate option with promising returns. Sri. Sundara Narayan Temple is a classic temple which is beautiful architectured with round dome and fine carvings. It was built in 1756 dedicated to Lord Vishnu along with the idols of Laxmi and Saraswati. 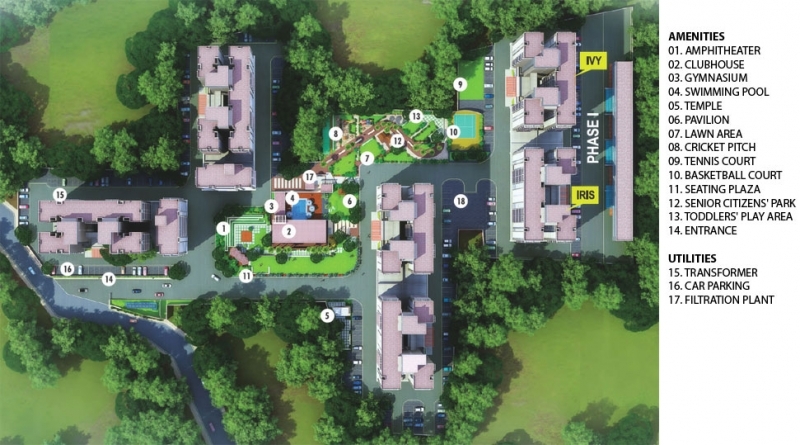 Located just 10.7 kms from Pathardi which takes 16 mins drive. Mhasrul Gaon is a delightful village located 16.1 kms from Pathardi Gaon and takes 24 mins drive to reach out this superb village. Sula Vineyards is an award-winning Indian winery established in the year 2000. Here you can get India's best white wines and a lot of grape wine varieties. It also consists resort to live amidst the winery and a wine taste room where you can have flavorsome wines. It is located just 15.5 kms from Pathardi Gaon and takes 26 mins drive to reach out this beautiful winery place. Mumbai - Nashik Expressway is at a very close distance of 9.7 kms which takes only 15 min drive. Igatpuri a beautiful hillstation is just 42.4 kms and takes just 41 min drive. From proper Nashik Pathardi Gaon is Just 7.4 kms and takes 17 mins drive. From Thane it is 143 kms and takes 2 hrs 2mins drive. From Mumbai it is 163 kms and takes 2 hrs 28 mins drive. Aurangabad is 188 kms away and takes 3 hrs 22 mins drive. Surat is 244 kms via NH 8 Highway which takes 4 hrs 10 mins drive. Clubhouse, Chess and Card Room, Snooker, Table Tennis. Ampitheater with lush sprawling lawns for social gatherings. Garden walkways and semisoft areas with rest nooks. Sewage treatment & diesel generator (hybrid fuel). Each flat has one common toilet with provision of solar water heater. Garbage shaft with garbage collection space at ground. * The structure shall be R.C.C. frame with AAC block masonry. * All external walls 6' thick & internal walls 4" thick. * Building internally painted with acrylic emulsion distemper. * Sand faced cement plaster externally and gypsum finished internally. * Single coat renova externally. * Glass railing to all terraces & balcony of each flat. * Utility/dry yard with water top & full height louvers screen to each flat. * Provision for double stack covered parking for each flat. * Parking with paver block. 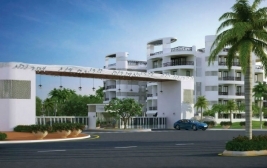 * Separate double height entrance lobby, electric meter room & letter box room to each building at Gr. Floor. * Terrace accessed by staircase and lift. * 750 mm wide cooking platform with stainless steel sink and 600 mm wide service platform in granite. * Nitca (or equivalent) make dado of glazed tiles till lintel level. * 600 x 600 Nitco (or equivalen) vitrified flooring with skirting. * Legrand makeelectric light points. * Granite door frame for kitcnen utility door frame. * Grand entrance door with red myranti frame with polish. * All intemal door frames and shutters in plywood witn laminate. * Door handle & locks of dorma or equivalent. * Designer bathraoms with Nitco (or equivalent) tiles. * Jaquar (or equivalent) make sanitary ware. * Jaquar (or equivalenf make exquisite bathroom fillings. * Legrand make electric light points. * Over counter wash basins in master bedroom toilet. * All baths will have diverler and wall hung W.C. with concealed flusning dual cistern. * Granite door frame for all bathrooms. * 600 x 600 Nitco (or equivalent) vitrified flooring with skirting. * Windows anodized aluminum / UPVC windows. * Window grills witn oil paint. * Aluminum sliding doors witn mosquito net to terraces & balcony of each flat. * Living rooms shall have two light points, one fan point, two-way switches in master bedrooms only and two plug points. * Hall & Master bed room will have telephone cable point. * All balcony & terraces with 1 or 2 lignt points. * Legrand make (or equivalent) modular switches. * Door video pnone point & bell point to each flat. * Geyserpoint in all bathroom toilets.